Description Deadline: Rolling, we recruit AROs throughout the year based on project availability. 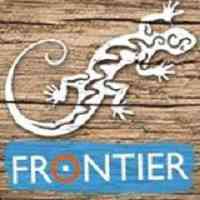 Frontier are seeking Assistant Research Officers for our Tanzania terrestrial and marine projects. The primary function of an Assistant Research Officer is to assist with all aspects of the research programme involving daily supervision of research team, data analysis and report writing. Contract Duration: A minimum 6 month period with the possibility of extending. Travel: In-country ground travel costs to be provided. International flights to be self-funded. Subsistence: Terrestrial project participation fee: £1000 for 6 months (excluding Costa Rica). To be paid quarterly (£600 first quarter, £400 second quarter). Marine project and Costa Rica participation fee: £1100 for 6 months. To be paid quarterly (£650 first quarter, £450 second quarter). Fees to be paid by staff member to cover project participation. Training: Tropical habitat conservation training & pre-departure training provided. Although these attributes are ideal, every application is carefully considered and this post is an opportunity for less experienced individuals to gain overseas field experience of research, project and volunteer management and training. Don’t forget to mention Stopdodo/Environment Jobs in your application. We are now seeking an enthusiastic, committed and experienced Project Coordinator with a passion for conservation and community development to drive forward our programmes in country. We are currently based on the island of Beqa, where we have volunteer led marine conservation projects as well as community development projects in town. To ensure the health and safety of all volunteers and field staff involved in the project, dealing with any medical incidents should they arise. Management, support and development of volunteers / research assistants in all aspects of their participation on the project. Organisation and supervision of camp activities and the schedule of Research Assistants camp duties. Preparation of a camp work schedule taking into account all relevant safety, physical, logistic and financial considerations. To manage local Frontier employees, camp assistant, driver, guards, as appropriate including payment of wages as and when necessary. Administration and control of project budget, ensuring that expenditure does not exceed allocated funds. Over spending will be recovered from future budgets. To develop proposals for work with other potential sites/organizations (including site visits and meetings as and when required). For more information and to apply, follow the link below or submit a CV and Cover Letter outlining your suitability for the role to: staff@frontier.ac.uk.